Kristen provides a variety of transformative physiological techniques, brain-based strategies and mind-body solutions that harness the power of self-directed neuroplasticity for real, lasting positive change. 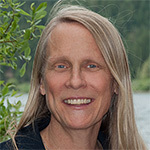 In trainings and private sessions, she applies positive psychology, emotional intelligence, the neuroscience of mindfulness and the wisdom of contemplative traditions to promote personal and professional development through self-awareness, stress resilience, emotional balance, impulse control, focused attention, effective communication, compassion, and conflict prevention skills. Kristen works with a wide variety of audiences as a mindfulness and stress resilience educator and wellness facilitator including: Administrators, elected officials, executive directors, public service and social service organizations, government offices, small businesses, non-profit organizations, marriage and family therapists, physical therapists, massage therapists, librarians, teachers, couples, parents, grandparents, high school students, college students, retirees, widows, firefighters, veterans, consultants, financial planners, realtors, business trainers, personal growth trainers, artists and entrepreneurs. Kristen offers private coaching and trainings on meditation, mindful leadership, stress awareness, resilience, effective communication and positive change for the Women’s Business Center at JEDI (Jefferson Economic Development Institute) and other businesses, public service and non-profit organizations. Formerly, Kristen worked with adults, children, and teens as an environmental education instructor with Yosemite National Institutes and as a wilderness ranger and field biologist with the National Park Service and the United States Forest Service in various locations including Mount Rainier National Park, Washington; Aniakchak National Monument and Preserve, Alaska; Point Reyes National Seashore, Yosemite National Park, and Mount Shasta, California. As a U.S. Forest Service trainer in Washington, D.C., Virginia, West Virginia, Montana, and California, Kristen authored two training manuals on effective communication skills, problem solving, and conflict prevention and resolution. 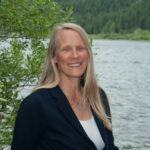 She initiated the Panther Meadows Restoration Project on Mount Shasta and facilitated public meetings including Native American consultations, the Mount Shasta Ski Area proposal, and the Trinity Alps Wilderness Citizens Task Force. While raising her two sons, Kristen worked as a Certified Parent and Family Effectiveness Trainer and Parenting Coach. She taught a variety of classes at Community and Family Resource Centers throughout Siskiyou County. She authored numerous articles for Northstate Parent Magazine as well as the Be the Change column celebrating individuals making a difference in the lives of children, families, and communities.